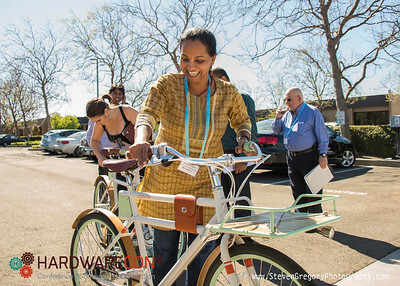 Hardwarecon3March 1 2015HardwareCon3 (HC3), a producer of events and accelerants for hardware startups, held it's conference at Zero Net Energy Center over the weekend designed to help founders propel their businesses to their next levels of success. I was there to photograph the speakers engaging with attendees during keynote presentations, capture breakout sessions with experts consulting with startup techies and of course, capture some of the cool hardward gadgets being developed right under our noses throughout the bay area. Here are just a few pics of the cool things coming on line- printable remote control vehicles, drones with programmable apps to follow your every move on the ground while it films you from above, and the latest in electric bicycle design and functionality (I rode it and it's pretty awesome!). This photo set delivered to Hardwarecon gives my client great content that can be used for their own marketing purposes for future events, can be sent to their attendee list in thanking them for coming to the conference and in turn, the startups themselves can use these images for their own social media blasts. 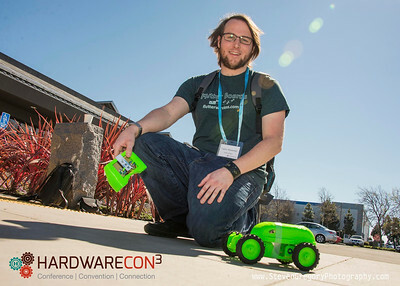 Photographying the Hardwarecon3 conference was a win across the board!